Baguio has its innate charm and definitely, it is not SM Mall (no matter how it sits grandiosely on Luneta Hill). People go to Baguio not because of SM City Baguio but because of the parks and the greenery and the mild weather. People go to Baguio not simply because they want to try out new food at SM City but more but because they want to meet old friends and enjoying some time with family and relatives. Having schooled and lived in Baguio between the mid-80s and early '90s, I still had the chance to experience the old-world feel of Baguio. I would say, having SM mall in Baguio is a superfluous idea in itself. In other words, having used to Baguio's natural charm, I practically avoid SM whenever I have the chance to go up to the City of Pines. Had it not for meeting old friends and buying some personal stuff like medicines or a cellphone load, I would not go inside SM. It is because SM Baguio does not sit well with the Baguio City that I used to know. It's not being averse to the development and inability to embrace change. Sure you can find almost anything under one roof without having to hop from one store to another just to buy a shirt. But that is exactly the beauty and exciting thing about Baguio--you have to know it by heart so that you can truly appreciate it. I have always known Baguio to be a quiet and peaceful place, which is oftentimes interrupted by the rustling pine needles as the cold air blows on the treetops, and of course, that old familiar pine scent--are just the simple things that define Baguio City. Never in my entire life have I associated Baguio City with SM Malls. The truth is, going inside SM City Baguio for me is even more stressful than walking to Wright Park. So, how can you enjoy Baguio sans the SM Mall? Stop and Smell the flowers. Baguio City has a lot of parks with flowering plants! 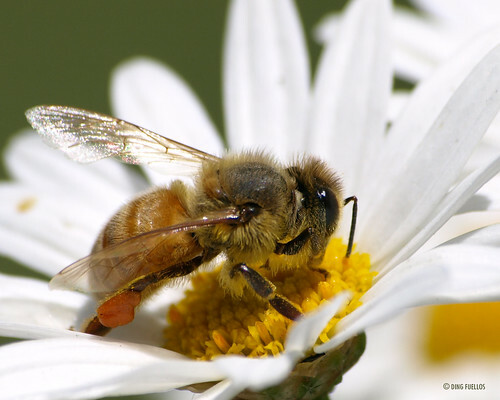 Learn, literally, to stop and smell the flowers. You begin with Burnham Park and Baguio Botanical Garden have interesting flower gardens. I haven't seen the newly renovated rose garden in Burnham Park yet, so it is a must place to go to. While away your time in the park or ride the colored horses in Wright Park, then climb the stone stairs up to the Glorieta, then the Mansion park. A jeepney ride will take you to Mines View Park. If you have more stamina, let your feet lead you to Outlook Drive and enjoy looking at the old beautiful houses and enjoy the sound of the rustling of pine needles along the way. Buy Pasalubong/ Goodies in local stores. Just more than a hundred meters away from Mines View Park is the Good Shepherd Convent where the famous strawberry preserves are sold. There are also curio shops in Mines view park where you can find cheap souvenirs. If you are a cheapskate, haggle it out at the Baguio Public Market where you get your money's worth. 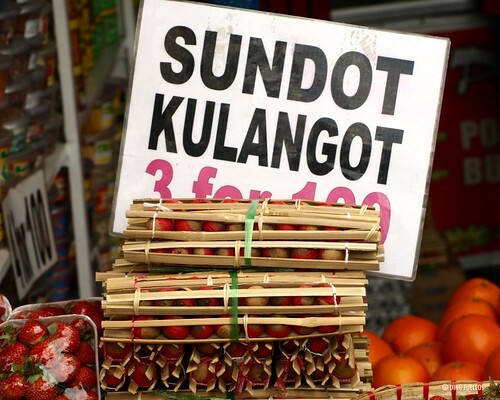 Not only can you buy more at a cheap price but you help Benguet farmers and vendors earn a decent living. Experience dining. 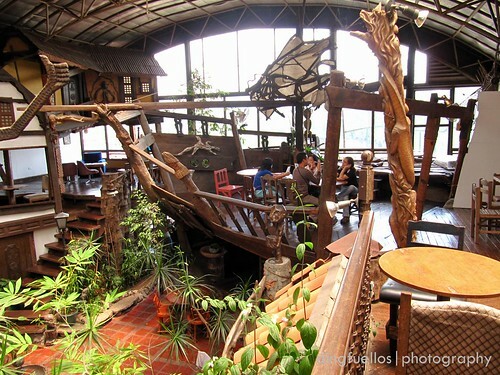 Baguio City offers the best dining experience. There are one too many home-grown restaurants along Session road. Examples of these include the old Sizzling plate, Star Cafe, Swiss Baker along Session Road and Solibao restaurant in Burnham Park, Narda's, and Oh, My Gulay. By patronizing them, you help preserve the heritage of Baguio City. Relax. Have a Picnic. You can go a little more adventurous and be different from the rest. Buy your packed lunch and just spread a mat at the picnic area in Burnham Park. You can also have it in Baguio Botanical Garden. Take that spiritual Journey. 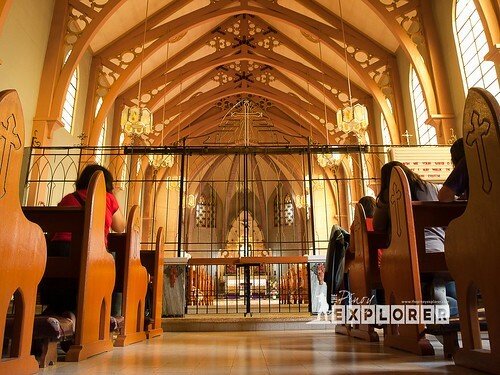 If you are a Catholic, Baguio City is the place for spiritual retreats. The Baguio Cathedral is usually quiet in-between masses. Pray and thank God for the pine trees of Baguio that makes it cooler. You can ride a cab to Lourdes grotto and sweat out those stubborn lipids by climbing up the stairs while praying the rosary. Visit The Pink Sisters Convent for a more quiet communing with God or simply go to Maryknoll Ecological Center where you can both commune with your God and His creation. Roll on dried pine needles. 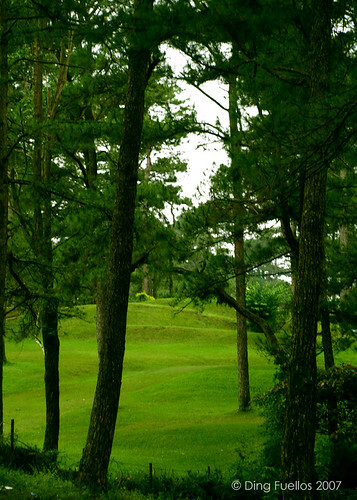 Enjoy the treks at Club John Hay. There are still open spaces accessible to the public where you can gather and make a bed of dried pine needles and just lie on your back after a long walk and enjoying the cool air and humming of the wind. Master the art of loafing. Secure a bench in one of the parks while munching roasted corn and watching people pass by, or just enjoy being yourself even just for a few minutes. There is nothing more rewarding than just sitting or walking to while away time. It is your vacation. Keep away from stressful mall scenes. Take long walks. I have tried this many times in the past and it was both physically and aesthetically rewarding. Baguio is such a small place that one can enjoy nature while walking, except for riding a cab or a jeepney to reach farther places. Walk from Session road to Leonard Wood Road to Pacdal Circle and up the stairs in the Wright park then the Mansion House. If you got more stamina, extend your walk through the Outlook Drive until you reach Mines View Park. 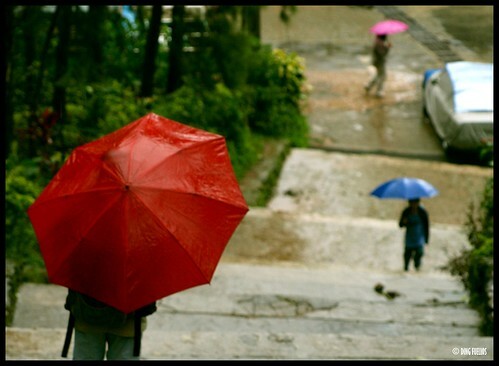 By walking and enjoying every bit of your step, then you can truly say you have experienced Baguio City at its best. A more pleasant experience is doing it while drizzling. Feel the tiny drops or spray of rain on your face. Enjoy Benguet Coffee Arabica. Look for local restaurants that offer freshly brewed Benguet coffee. You help not only the Benguet coffee growers, but you will also realize they are better tasting and have better aroma than those being sold by popular coffee shops. Of course, do not forget to take your souvenir photos! This summer, enjoy Baguio like you never did before. Go out and explore!